A Warren Buffett company caused a solar eclipse in Nevada. Berkshire Hathaway’s NV Energy won a battle when the state’s Public Utility Commission unveiled plans to cut subsidies for solar-panel users. That has prompted Sunrun and Elon Musk-backed SolarCity to pack up. There are good reasons, however, to believe the sun will come out tomorrow. At the center of the conflict is the practice of net metering. This allows homeowners with rooftop solar panels to sell unused energy back to the grid. Installers like Sunrun and SolarCity argue that the practice helps make the energy source more economically viable. Nevada’s decision slashes the amount in credits for panel owners by half, from almost 12 cents per kilowatt-hour to wholesale rates of 5.5 cents per kwh. That will help NV Energy. Not only does so-called distributed generation pose a competitive threat to power companies, but utilities will avoid paying higher retail rates for the excess kilowatt-hours. The Silver State’s cost hikes even apply retroactively to solar-panel owners who have already entered into financing agreements. And the utility can impose additional fees on solar customers. It’s a publicity blow to the renewable movement for two companies to abandon a fast-growing market in America’s Sun Belt. In the third quarter of 2015, Nevada’s residential photovoltaic installations were 10 times higher than a year earlier, according to GTM Research. Even so, the state accounts for just 3 percent of the country’s residential installed base, compared with, say, California, which accounted for almost half of new installations in last year’s third quarter. Eastern states like Massachusetts and Maryland are quickly expanding in solar. For SolarCity and Sunrun, the damage should be limited, too. The Nevada decision, if it survives a legal challenge, will hurt the value of their respective portfolios by 4 cents and 2 cents a share, Credit Suisse analysts estimate. What’s more, the industry secured a bigger year-end victory: the extension of a national 30 percent investment tax credit for solar energy, included in a broader spending bill. That assistance could help boost solar capacity roughly by half over the next five years, GTM says. 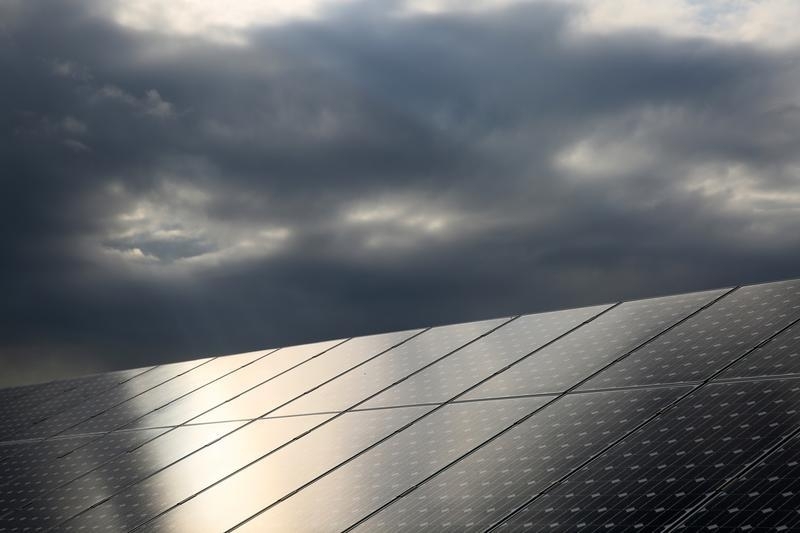 The additional consumer cost savings will make panels more attractive in cloudier areas, making Nevada’s dark decision fade further into the sunset. Solar-panel installer Sunrun said on Jan. 7 that it had ceased all operations in Nevada, resulting in hundreds of job losses, as a result of new utilities rules. It also cited actions taken by Berkshire Hathaway-owned NV Energy as contributing to the decision. SolarCity said on Jan. 6 that it would eliminate over 550 jobs in the state following a decision in late December by the local Public Utility Commission to raise rates for rooftop solar-panel owners. The company had said on Dec. 23 that it would cease sales and installations in the state.